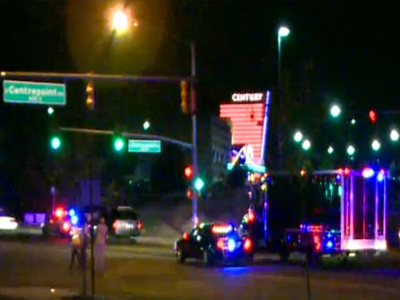 Police confirmed that all the weapons and ammo used in the Colorado movie theater shooting that left 12 moviegoers dead were bought legally. 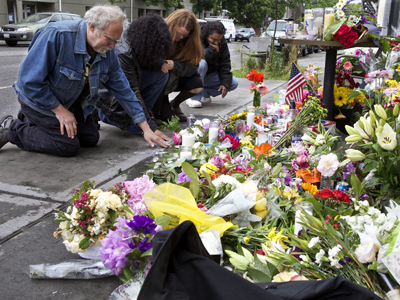 The massacre, however, is unlikely to spark a mainstream political drive for stricter gun laws. 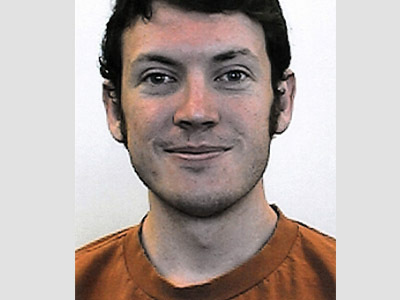 ­James Holmes, the suspect in the shooting rampage, bought four firearms over the past two months: a semi-automatic .223 caliber AR-15 type rifle, a single barrel, 12 gauge Remington Model 870 shotgun and two .40-caliber Glock handguns, police said. He also purchased 3,000 rounds of .40-caliber ammunition, 3,000 rounds of .223 caliber ammunition and 300 shotgun shells. Homes had one “drum clip” for the rifle, which can carry more than 100 rounds, Aurora Police Chief Dan Oates said. He added with that clip, the weapon could fire 50 to 60 rounds in a minute, even though it’s not fully automatic. The two national chain retailers who sold Holmes the weapons said they had done all the necessary background checks, which he passed. The only previous police record for the Holmes is a speeding ticket he received in October 2011. The gear he wore included a bullet-resistant helmet, a gas mask and ballistic tactical vest, leggings and gloves as well as throat and groin protection. The canisters used in the attack most likely contained tear gas. The majority of the victims suffered from gunshot wounds. 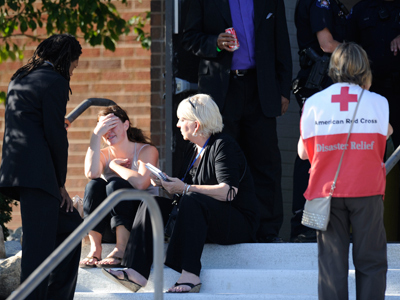 Some 30 people of the 58 people wounded in the shooting remain in hospital. Seven of them are in critical condition. 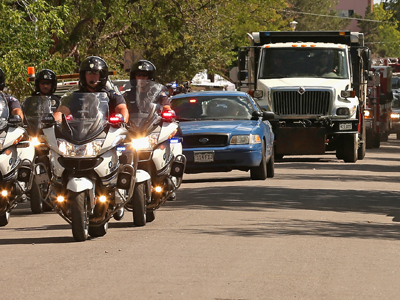 The Colorado massacre is the latest in a string of high-profile gun incidents on US soil. Among others are the October 2011 assassination attempt of former Representative Gabrielle Giffords in Arizona, the massacre at Virginia Tech in 2007 and the 1999 shootings at Columbine High School, which is located some 16 miles from the site of Friday's incident. Only a few American politicians, however, are willing to ask whether tighter control of gun sales is necessary to prevent such crimes. One of those is New York Mayor Michael Bloomberg, who called on Barack Obama and Mitt Romney to speak out on the issue. "Soothing words are nice, but maybe it's time that the two people who want to be president of the United States stand up and tell us what they are going to do about it," he said while speaking on WOR Radio. "I don't think there's any other developed country in the world that has remotely the problem we have. We have more guns than people in this country," said Bloomberg, the billionaire backer of Mayors Against Illegal Guns, a coalition of mayors advocating for stricter rules on gun sales and ownership. The two men slated to be pitted against each other in the upcoming presidential election remained conspicuously silent on gun control. Obama supported the lapsed assault weapons ban during the 2008 campaign, but made no effort as president to curb gun rights and has rarely discussed the issue. Romney signed a permanent assault-weapons ban in Massachusetts in 2004, but has shied away from addressing the ban on a national scale and made no statements that he would overturn the current gun laws if elected. Public support for restrictive weapons legislation is also declining. Gallup polls over the last two decades show that the percentage of Americans who favor making gun control laws "more strict" fell from 78 per cent in 1990 to 44 per cent in 2010. The Brady Center to Prevent Gun Violence, the largest and oldest of America's gun-control groups, reported their annual revenue at $5.9 million in 2010. The National Rifle Association (NRA), a powerful pro-gun lobby, and its various components took in $253 million from individual and corporate supporters the same year. 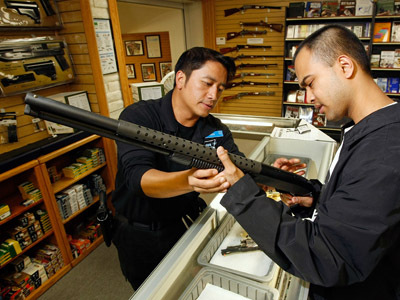 Gun laws are a toxic issue with voters, especially in swing states like Ohio, Pennsylvania, Wisconsin, Virginia, Iowa and North Carolina, where large portions of the population are gun enthusiasts. Some supporters of Democrat Al Gore still believe his support for gun control laws played a role in his loss of the 2000 presidential election. The US Congress has not approved any major new gun laws since 1994. A ban on certain semi-automatic weapons passed in 1994 expired in 2004, and there is little chance for similar legislation to hit the house floor anytime soon. Incidentally, drum clips like the one allegedly used in the Colorado shooting were among the features not produced during the 10-year ban. "There are strong forces in American politics, led by the National Rifle Association, that have prevented any real changes in gun control laws in years," Cal Jillson, a political analyst at Southern Methodist University in Texas, told Reuters. "In the short term, this incident will give some liberal Democrats an opportunity to talk about gun control in an environment where people are listening, but in the long term it doesn't change anything," he said.